Fear not, gentle hippie — you aren’t being stalked by Mr. Potato Head on steroids. 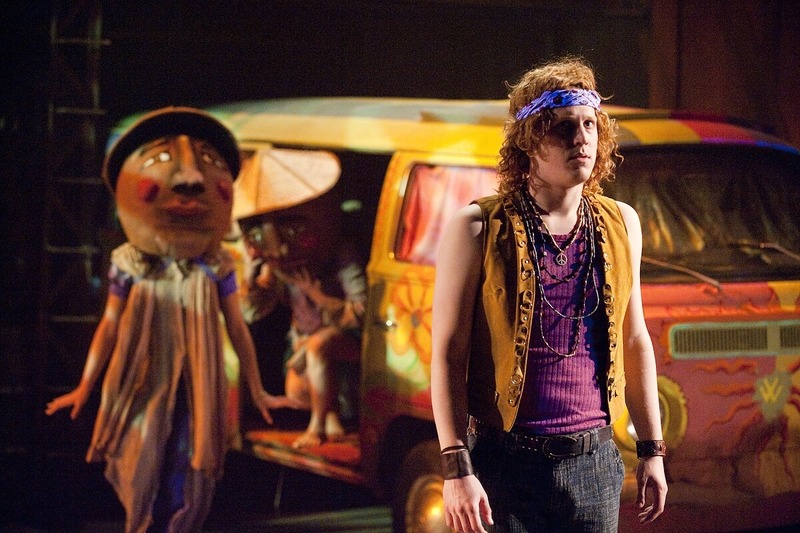 You’re merely part of University Theatre’s production of Hair. Andy Talen ’09 (right) plays Claude, and during the song “Walking in Space,” other actors (including Camille Lesar x’12, left, and Youn Kim ’09, center) donned puppet heads to represent his drug-induced hallucinations. Hair played to sold-out crowds in April and May.